LIVE FROM LTE WORLD SUMMIT 2015: Big name operators and vendors such as EE, KPN, Nokia, Orange and Vodafone this week agreed that 2G technology is likely to live on into a fruitful old-age alongside 4G (LTE), while 3G is much less loved in comparison. Pierre Francois Dubois, VP of product development at Orange, said that – as other operators have already identified – 3G is “the first candidate to be phased out”, ahead of 2G, although he also said that “we don’t have any roadmap” for phasing out 3G services. Erik Hoving, CTO of KPN, went as far as describing 3G as “a very mediocre solution”, sitting between the voice-centric 2G and data-centric LTE alternatives. Indicating how much operators remain committed to their legacy platforms, Matthias Sauder, chief network officer of Vodafone Netherlands, said: “We are still maintaining our old networks, and modernising the network, also still delivering 2G and 3G services to the customer. And yes, 2G will continue longer than we expected”. UK LTE stalwart EE even renewed 2G kit during its 4G rollout, with Mansoor Hanif, director of RAN development and programmes at EE, noting that “we still need to manage a lot of legacy voice, especially in the rural areas. We don’t sell 2G devices any more, but there’s a lot of them out there”. Alongside this, Hanif said, there are “a lot of [2G] M2M devices, which is a big challenge because we are not sure where they are”. 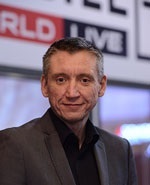 Tommi Uitto (pictured), SVP, global mobile broadband sales at Nokia, noted that operators are – even now – calling for an evolution of the legacy GSM standard to support its continued use in M2M. Yousef Abu Mutawe, CTO of Zain Jordan, echoed this theme, arguing that “this will not be an operator decision, it will be the customer decision when the operator can switch-off”. However, it will be possible to reduce density and spectrum used for older networks, until “we come to a point where it will be dependent on how many legacy phones are still connected”. EE”s Hanif called for vendors to help with this process. “Rather than having to do big, difficult re-farms across the network, if we can have smart solutions where the network itself can choose in realtime what to allocate to 2G and 4G, that will help us smooth-out the transition,” he said. According to GSMA Intelligence, 2G technology still accounts for 58.5 per cent of the world’s 7.11 billion mobile connections, compared to 32.5 per cent for 3G and 9 per cent for 4G. The analyst house expects 2G technology to maintain global market dominance until the beginning of 2019. The comments at this week’s event are in line with recent trends in the market. Telenor, for example, has plans to completely shut down its 3G network in 2020, five years before it closes 2G in 2025. And a recent report from Ovum declared that 2G is still an important source of revenue. “LTE provides a better mobile broadband experience than 3G, and with VoLTE, LTE can handle the voice responsibilities of 3G. This points to the possibility that operators opt to close their 3G networks before they close 2G,” wrote Ovum analyst Nicole McCormick. Not that this is the case in all markets: Singapore’s three operators – M1, Singtel Mobile and StarHub Mobile – will close their 2G networks from April 2017 in an effort to free up spectrum for 3G and 4G services. They join the likes of Telstra in Australia, as well as AT&T and Verizon in the US, who have previously announced that they too will be switching off their 2G legacy networks in the next few years. Japan and South Korea have already switched off the majority of their 2G networks.